Grim Town. It’s unclear exactly what or where it is but it’s grey, flat and small in both size and significance. 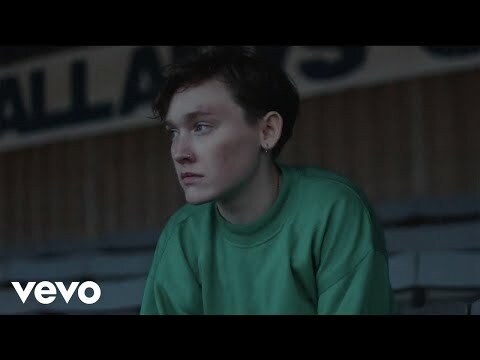 An important part of this departure and growth was leaving her long-term producer and friend, Tommy McLaughlin of The Villagers, who has been producing SOAK since 2010, “it was a really hard decision – Tommy’s amazing – but I didn’t want this record to feel or sound like the last one. I wanted it to be clear that I’ve grown up, and to be a step up, essentially, in all the ways that it could be – and Ant provided that.” Enter Ant Whiting. With a heavy pop catalogue that includes M.I.A, it was his mastery of such a broad, colourful and pop-driven sound that helped to create, as Bridie so perfectly puts it, “a carnival of noise.” De Ja Vu epitomises this kaleidoscopic sound, with its eerie chromatic opening, anthemic, ABBA-esque chorus and unnerving police sirens. As we follow the track it begins to resemble the car crash imagined in the song; ‘You’ve been drinking again/ Crashed the car and you blamed the rain’. “De Ja Vu is basically about someone in my life who I was worried about a lot. You know, one of those people who is never really stable and you’re scared that one day it might all go wrong and how all the neighbours would be in the street watching it and the sirens would be going off.” Bridie hypothesizes the future whilst simultaneously looking back to the past, reliving and rethinking this could-be future over and over again, and this is the essence of Grim Town. More than this however, the songs themselves are volatile, and they too are constantly changing state. At the (un)ripe age of twenty-two, Bridie already reminisces on her even younger self. She laments in Crying, ‘oh, to be sixteen’, and it is unclear whether she is craving the hopeful naivety of her youth or cringing at her own youthful expense. In a similar vein, she cringes as she points at an intricate flower tattooed on her elbow, done to cover up a suspiciously phallic looking hammer that was blurred out due to obscenity during a recorded live performance – (‘and that’s why they shouldn’t let you get tattoos when you’re 16!”) But Bridie doesn’t feel calloused when she reflects on the past, “it just feels weird. I wrote that bridge two or so years after I’d actually written Crying, so I kind of went back to the song and was reminiscing about the person I was when I first wrote it, the person I was when I was sixteen. It’s weird to reflect on something that didn’t happen that long ago.” So, the songs themselves exist in a kind of structurally lucid state, ever growing and ever changing. But, that unforgettable, haunting purity of Bridie’s voice remains and cuts through the broader and more playful musical and lyrical landscape, like unforgiving black ink on white, freckled skin.